OOTD - Blue Maxi Skirt in Winter | La Petite Noob | A Toronto-Based Fashion and Lifestyle Blog. As excited as I was to wear this skirt in the summer, I'm actually kind of liking it more in the winter. The pale blue shade of the maxi dress pairs perfectly with a winter white, and the delicate fabric has great movement in the wind. I definitely plan on donning this skirt well into the winter months - with some tights underneath for added warmth, of course! Elvis may be having a Blue Christmas, but I'm definitely embracing the shade for the winter. 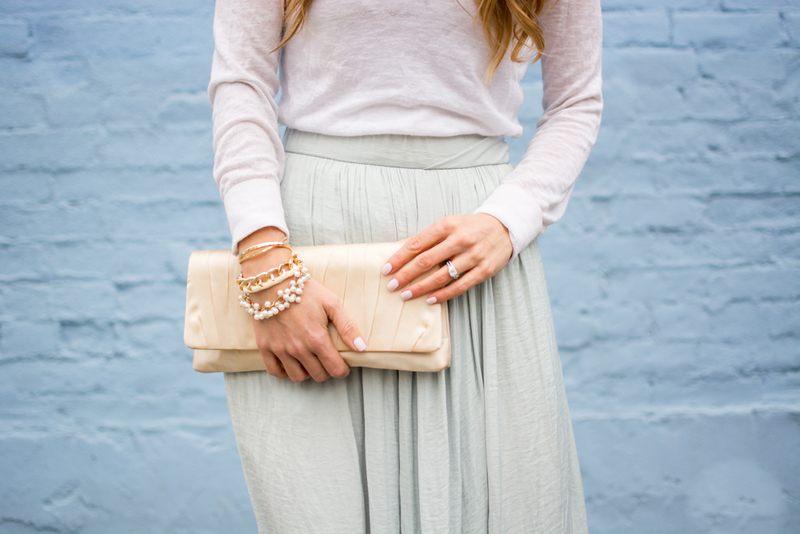 What are your thoughts on maxi skirts during the cooler months - welcome addition, or best left in summer? Do you have a holiday song that gets played nonstop at your place? Let me know! I never thought of maxi skirts for winter! I have a maxi skirt that's been collecting dust since spring, so now I can put it to good use :) I love the colors of the outfit, it makes you very light and ethereal! Hello real life Cinderella! Your skirt makes your eyes pop so much! So, kinda thinking Elsa here. My little cousin with just die. That skirt is so stunning, the fabric is beautiful! Hi Joelle, this is such a beautiful look! 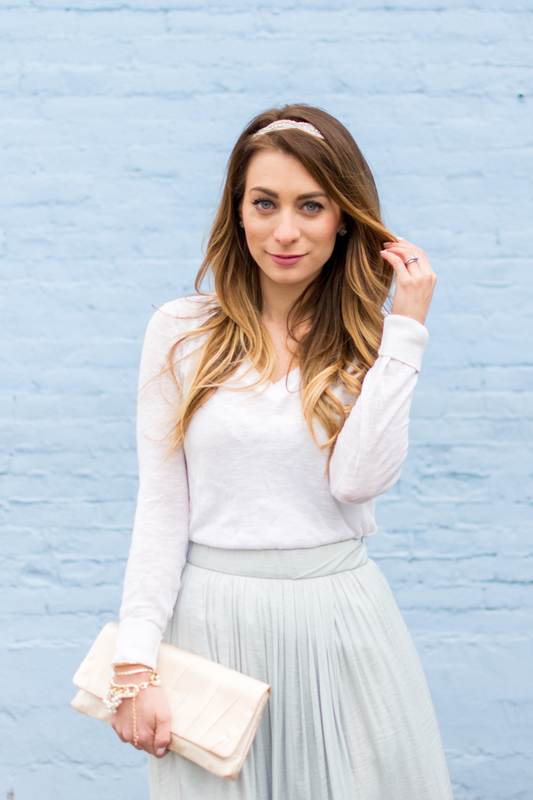 I really like this light blue maxi skirt and looks gorgeous on you! This pastel combo with the background looks so chic!